This term our topic in Reception is Animal Adventure! We will be learning about a variety of animals and have lots of WOW moments to engage the children in their learning. Please click below to see what we will be learning about this term! 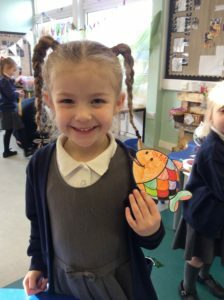 We have been making fish puppets on the creative table! We are trying deconstructive role play this term!! 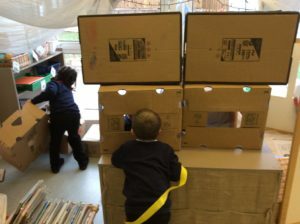 So far the children are coming up with some great ideas of what to make using loose materials and boxes. 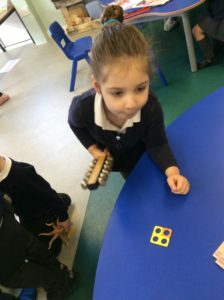 We have been using numicon to add numbers together. This child found out 3+1=4! 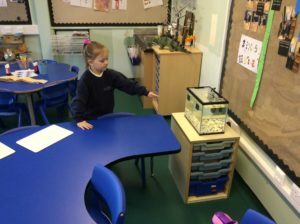 We discovered a tank in our classroom after half term!!! I wonder what we will get? 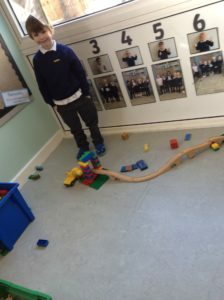 We always have construction going on in our classroom and this child used both the train track and duplo to make his own creation!!! 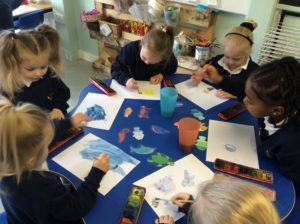 We explored water colour paints during our independent learning. The children painted some beautiful under the sea pictures which are now displayed proudly in our classroom!